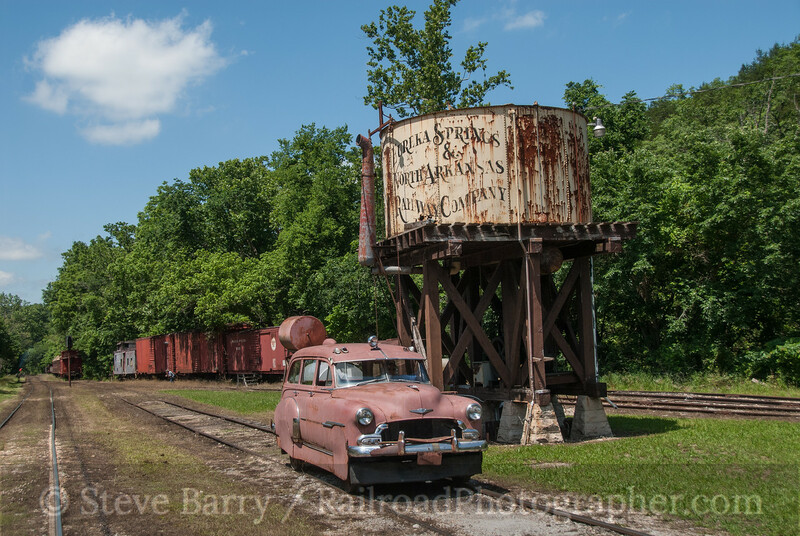 As part of the 2014 convention of the National Railway Historical Society, we had the chance to visit three tourist railroads in the Ozark Mountains of southwest Missouri and northwest Arkansas, each one quite different from the others. 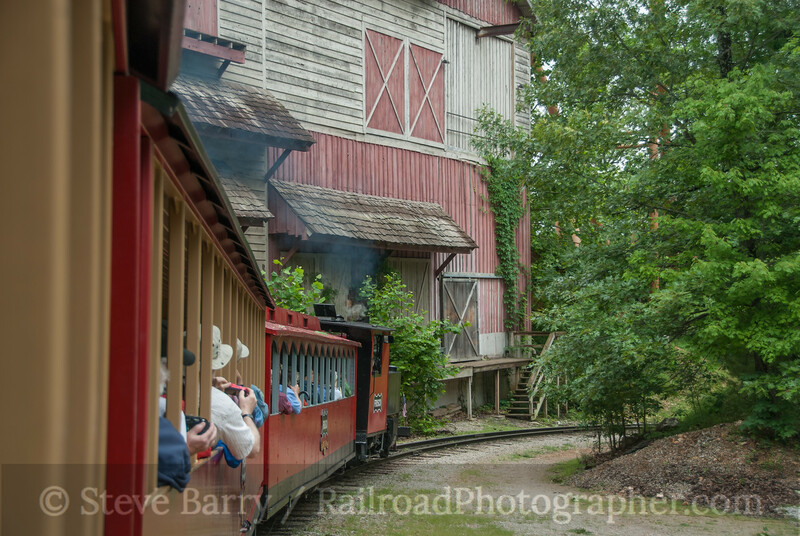 First up was Silver Dollar City outside Branson, Mo., and its Frisco Silver Dollar Railroad. 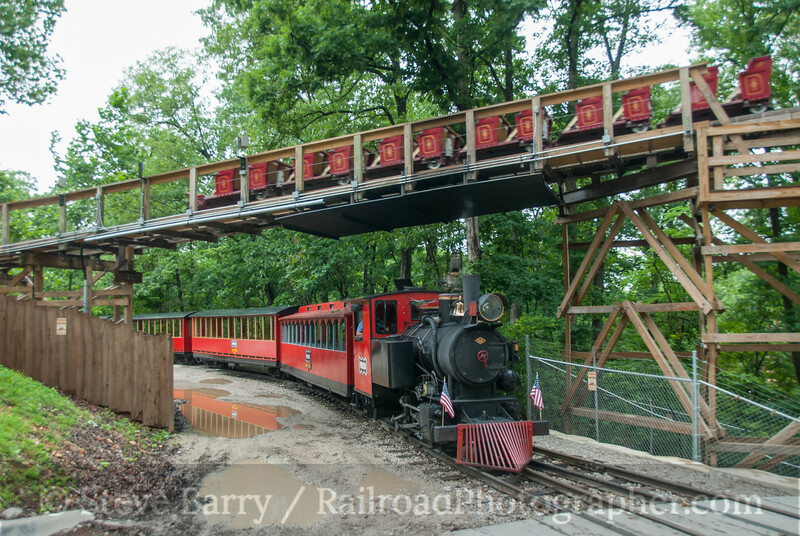 Silver Dollar City is a family theme park established in 1960, and the steam-powered railroad is one of the oldest rides in the park. The two-foot gauge railroad uses foreign-built steam power such as No. 13 (above), built by Orenstein & Koppel in Germany in 1934. 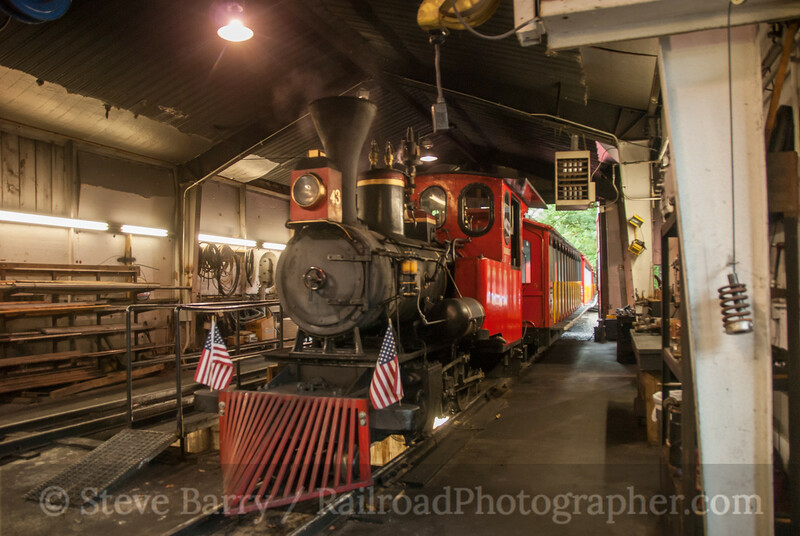 During the busy summer season two trainsets are in service making the loop through the park. We see No. 43, built by Orestein & Koppel in 1938, as it backs out of the shop to begin its daily duties. The railroad has one U.S.-built locomotive, No. 76, which sits on display near the shop. This diminutive 4-4-2 was built by Davenport in 1922 and operated in New York state before coming to Silver Dollar City. Acquired in 1961, it was the park's first locomotive. It was retired in 1980. The line forms a circle and features impressive grades, some over six per cent. The little locomotives are realy put to the test on the route. 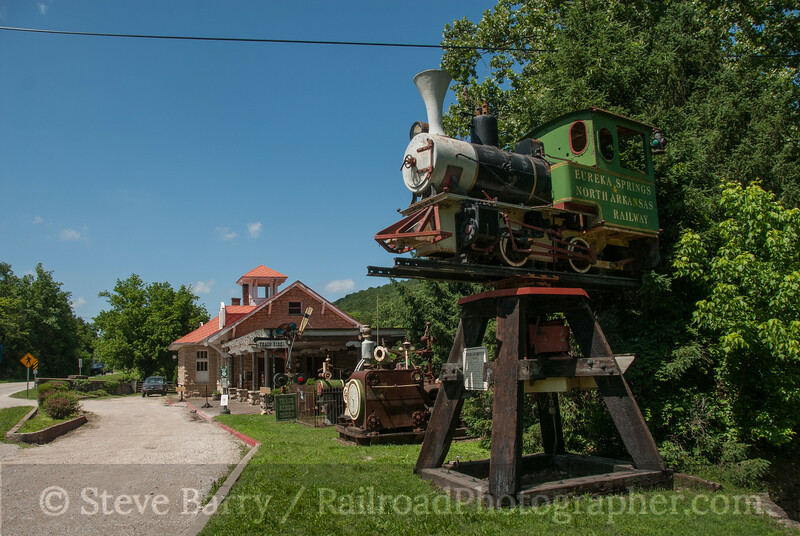 Just a few miles away is a railroad that is an operational opposite of Silver Dollar City. 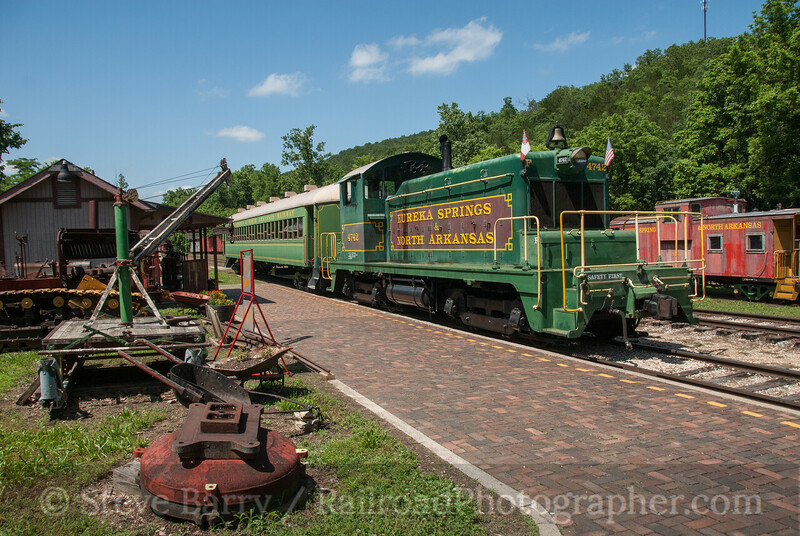 the Branson Scenic Railway is a standard-gauge diesel-powered line that operates out of its namesake town using a streamlined passenger train. 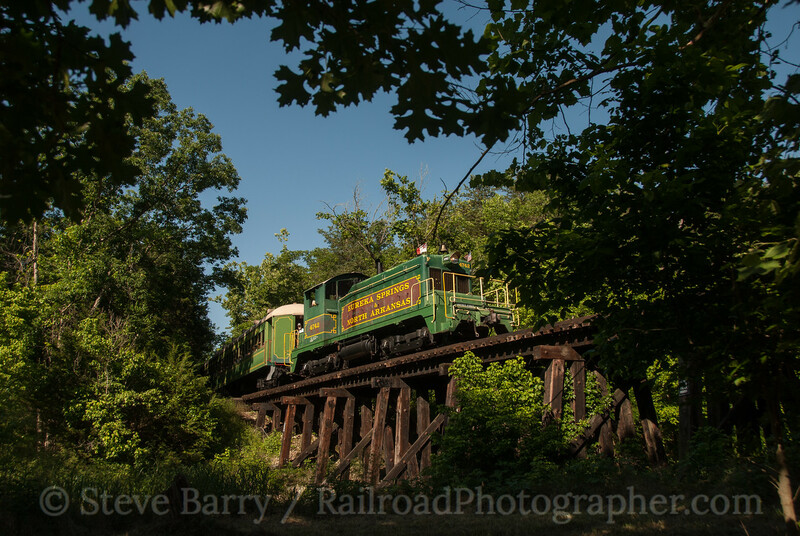 The railroad operates over a freight short line, the Missouri & North Arkansas Railroad. Like many short lines, the M&NA was spun off from a bigger railroad, in this case the Missouri Pacific (later part of Union Pacific) in 1992. 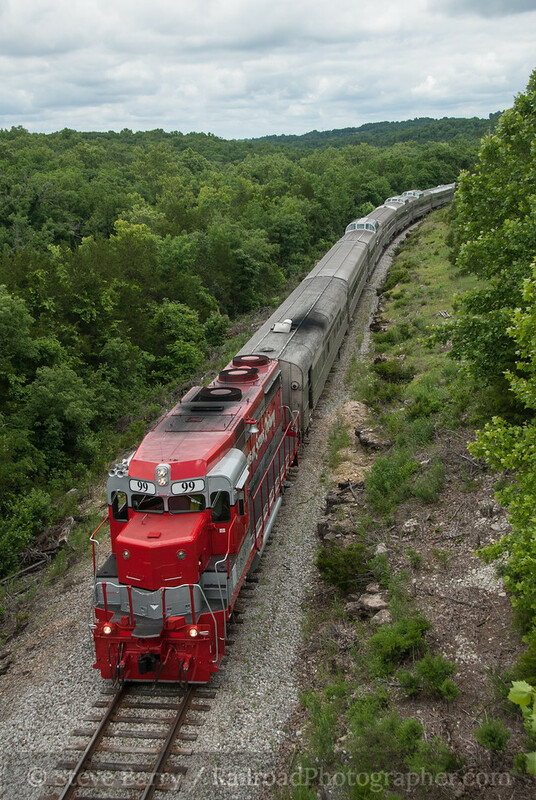 Depending on freight needs, the Branson Scenic can operate in either direction out of Branson. It can head north to Galena, but lucky riders will get a trip south over the much more scenic part of the line to Barren Fork Trestle. The decision on whether to go north or south is made usually about 15 minutes before departure, so it's always a guessing game for both the rider and the chaser. To facilitate moves in both directions, the train operates in pull-pull mode. On the north end is Electro-Motive Division F7 No. 98 (above crossing the White River). It was built in January 1951 as No. 369 for the Baltimore & Ohio, and later operated in commuter service for Maryland Area Commuter Rail (MARC) out of Washington, D.C. Interestingly, it has the nose from a Canadian National F9 after the original nose was damaged in a wreck. On the south end is EMD GP30 No. 99. This is also a former B&O locomotive, built as its 6973 in January 1963. We finish off our tour of the Ozarks in north Arkansas at Eureka Springs on the appropriately named Eureka Springs & North Arkansas. This tourist operation was establisjed in 1981 on a branch line that was never part of a major rail system. Primary power for the railroad is EMD SW1 No. 4742, built by EMD in 1942. Three steam locomotives are scattered around the property, none of them serviceable. One of those locomotives is 2-6-0 No. 201, built by the American Locomotive Company in Paterson, N.J., in 1906. Among its claims to fame is it worked on the Panama Canal and is one of only three survivors from that service. 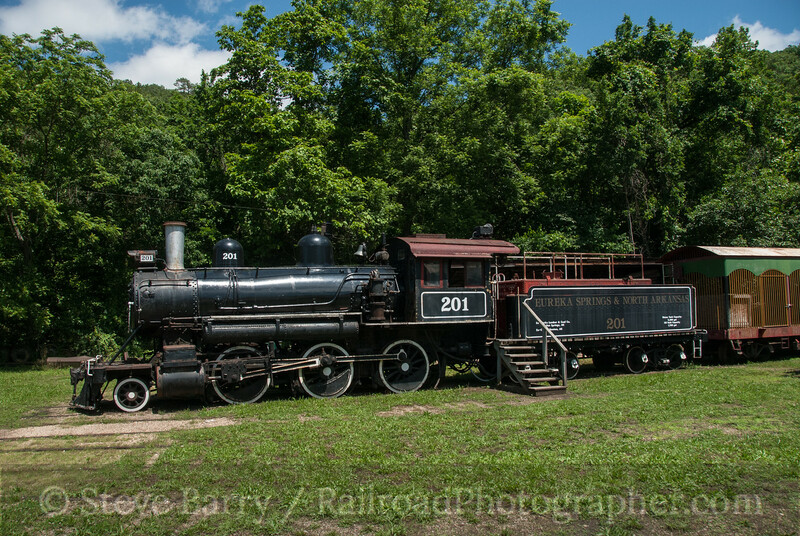 Another steam locomotive on the property is a German-built 0-4-0T (Buescher & Sons, 1935). 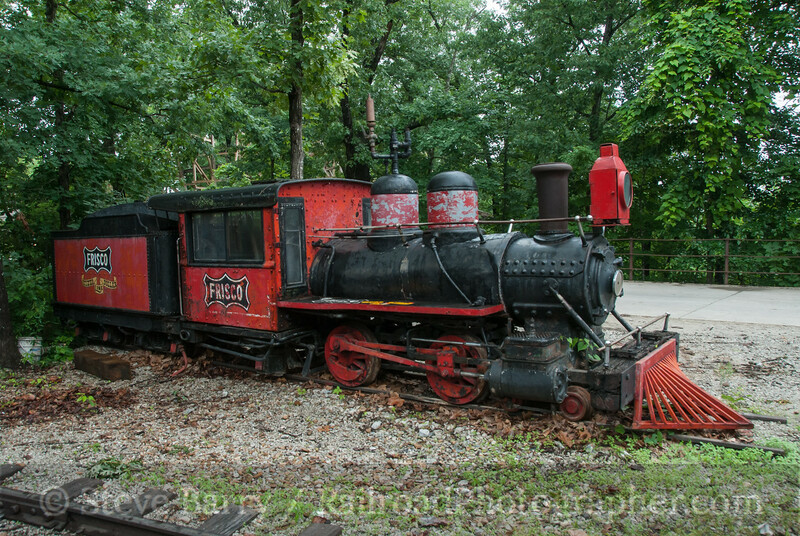 This locomotive is mounted on top of a pedestal adjacent to the historic Eureka Springs depot. Reportedly, the locomotive can spin on its mount. In addition to the SW1, a 1951 Chevrolet track inspector's car is functional and can carry a passenger or two on special occasions. The ride covers about 2.5 very slow miles. Passengers are carried in former Rock Island P70 coaches, of which there are six on the property. At the north end of the serviceable trackage the train takes one leg of a wye just before it finishes its journey. Both legs of the wye feature timber trestles. 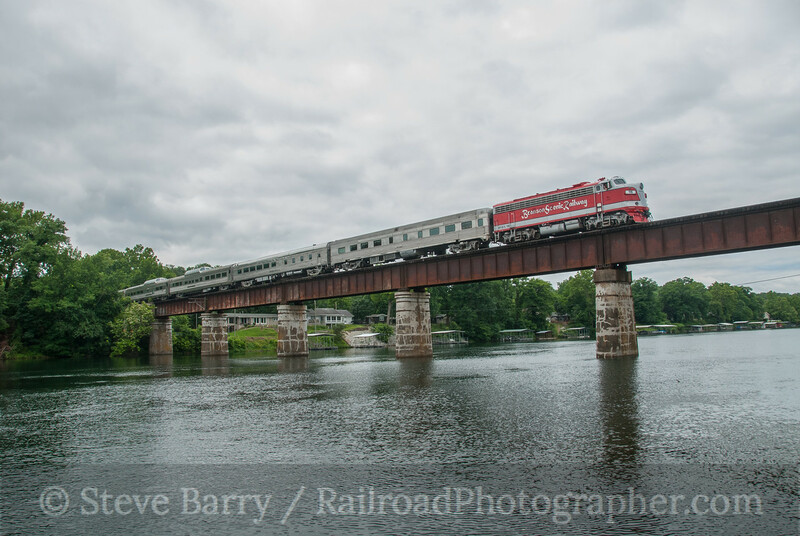 That concludes our look at three Ozark tourist railroads. Additional photos of all three lines can be found here.